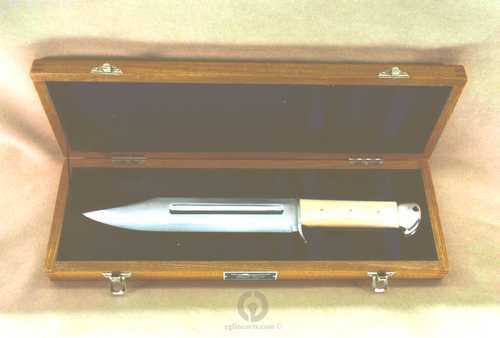 Here is a beautiful Bowie Knife made in the Gendaito period by a master swordsmith. 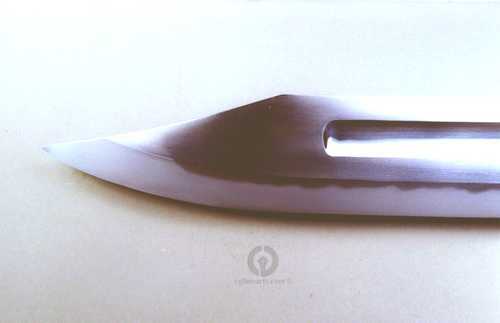 The blade is forged in very tight Ko-Itame and displays a Gonome Hamon. 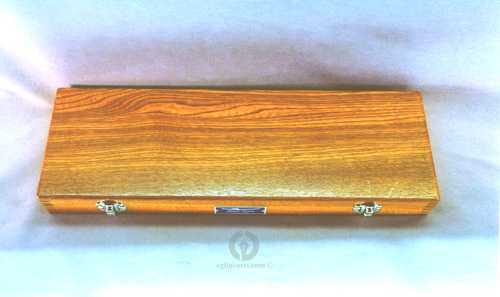 The handle is clad in ivory with Nickel Silver Pommel and Guard and the blade is housed in a beautiful Keyaki wood box. 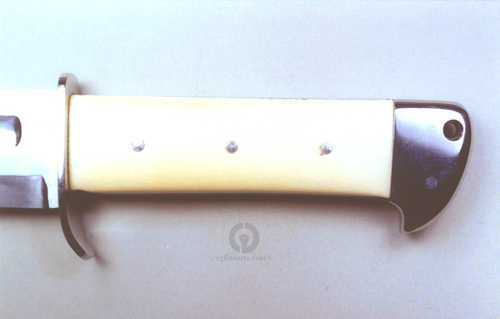 The combination of a classic western style blade made using the traditional Japanese swordmaking technique makes this a most unusual and desirable piece.